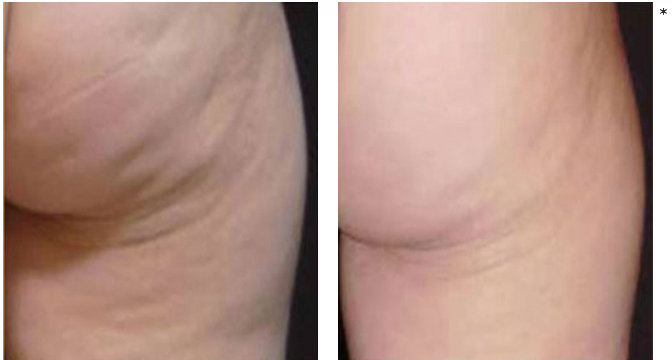 There is a revolutionary, non-surgical treatment that can effectively reduce the appearance of cellulite from some of the toughest problem areas, including the thighs, stomach, and buttocks. ZWave PRO technology delivers energy shockwaves into the area of concern, disrupting the structure of the fatty tissue for smoother, less dimpled skin. This innovative procedure is designed to be comfortable, quick, and affordable, without the extensive downtime or recovery typical of more invasive methods. Our board-certified dermatologist, Deborah H. Atkin, M.D., can determine whether ZWave PRO can help you achieve your cosmetic goals during your initial consultation. 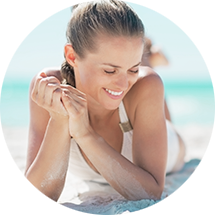 To learn more about ZWave PRO cellulite treatments or to schedule a consultation with Dr. Atkin, please contact our office today. Cellulite is an extremely common condition that typically affects women more often than men. Some suggest that this is due to women’s higher levels of estrogen and others say that women simply have thinner skin than men. Regardless, the known causes of cellulite are numerous, and they include a decrease in metabolism, weight gain, rapid weight loss, hormonal changes, physiology, and genetic predisposition. The dimpled, orange peel-like appearance is due to fatty tissue pushing through fibrous connective tissue and creating small nodules. Diet and exercise may be able to minimize cellulite for some people; however, these bumps often prove resistant to traditional methods of removal. Using an acoustic radial wave therapy, ZWave PRO delivers energy into the area of concern through a handheld applicator. As a result, the gas bubbles found within the fatty tissue pop and cause the structure to become unstable, gradually leading to smoother skin. In addition to diminishing signs of cellulite, ZWave PRO technology also may reduce the appearance of stretch marks and enhance the texture of the skin overall. Did You Know?Did you know cellulite may develop on any area of the body, but is primarily found on the arms, thighs, abdomen, or buttocks? ZWave PRO is designed to be entirely non-invasive, and the device utilizes sound waves to disrupt fatty tissue. As a result, you should not feel discomfort during the procedure. The applicator will be placed directly on the skin of the area to be treated and the handheld device will be drawn across the “problem” area. Multiple treatments, between 6-10 on average, will be recommended for optimal effect. These sessions can be completed up to three times per week, and regular maintenance is recommended. Length of Time for Procedure? Typically, the treatment lasts between 20 and 30 minutes, though this will depend on the individual and the number of areas to be treated. Who Will Perform This Procedure? Our experienced staff will customize a treatment plan and perform the treatment. What is the Recovery Time? There is little to no recovery expected after ZWave PRO treatment, and you should be able to return to normal activity immediately following the procedure. Final Results of the Procedure? Gradual improvement in skin tone and texture should occur over the course of treatment, usually several weeks. Dr. Atkin will let you know approximately when to expect the final results to be visible. Regular upkeep is recommended to maintain the outcome. Other Treatments or Skincare Products that May Improve My Result? 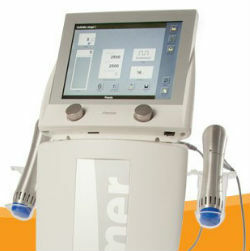 ZWave PRO combines well with a multitude of other treatments, including fat reduction methods such as UltraShape® and CoolSculpting™, skin resurfacing techniques like the Fraxel® Laser Trio, and skin firming procedures such as Ulthera®. During your initial consultation, Dr. Atkin will determine which treatments can best achieve your cosmetic goals. 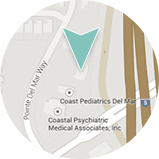 If you have additional questions about ZWave PRO treatments, or if you wish to schedule a consultation with Dr. Atkin, please contact us or call 858.350.7546 today.